By Gavin Hyland | November 19, 2016. It turns out the wizarding world existed and was embroiled in danger and scandal long before Harry Potter, Ron Weasley and Hermione Granger enrolled in Hogwarts. Fantastic Beasts and Where to Find Them sees J.K Rowling and David Yates reunite to bring us on a magical adventure around 1926 New York. 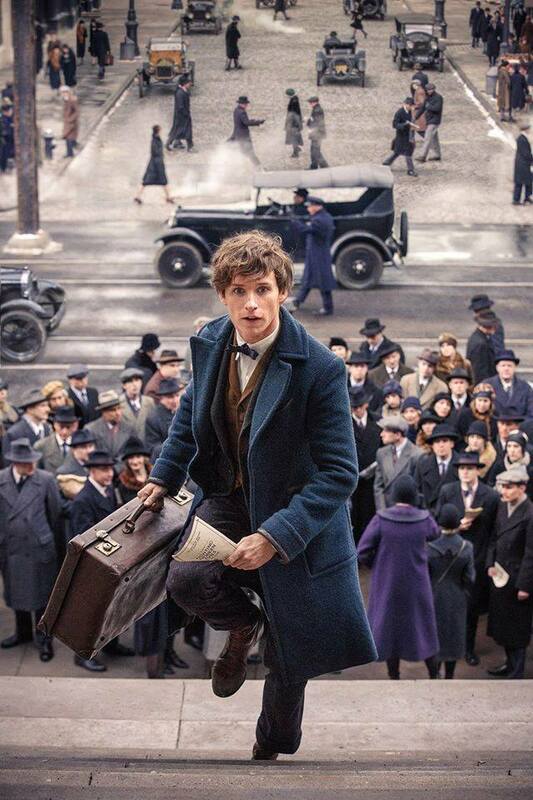 Oscar winner Eddie Redmayne takes the main role as Newt Scamander, an expert in magical beasts. The aloof and often clumsy Scamander manages to lose his beasts in New York and exposes a muggle, or “Nomaj”, named Jacob Kowalski (Dan Fogler) to magic; a serious crime in the magic community. The movie takes us on a journey with Scamander and the friends he collects along the way as he attempts to recapture all the beasts he has lost. All the while, something far more sinister is wreaking havoc in New York, and the beasts are being caught in the crossfire. Fantastic Beasts and where to find them is an epic adventure which includes comedy, suspense and immense imagination. Only J.K Rowling could visualize and produce the brilliant creatures we see in this movie. Fantastic Beasts is slightly darker than the original Harry Potter movies and, therefore, it is more suitable for a slightly older audience of teenagers and young adults who grew up with Harry Potter. Eddie Redmayne is the stand out performance, although the entire cast works well. Redmayne plays Newt Scamander with a disarming charm which almost makes him the exact opposite of Harry Potter. Scamander does not want to be the centre of attention but his beloved beasts place him there. Although set in 1926, the movie is not short on comparisons or metaphors for modern social issues. When arriving in New York, Newt Scamander says “you have backwards laws regarding muggles, you cannot be friends with them or marry them”. Who knew equality was an issue in 1920’s magical USA? When speaking about his beloved beasts being lost in New York the quirky Scamander says “they are in alien terrain surrounded by millions of the most vicious creatures on the planet. Humans”. You must see Fantastic Beasts and Where to Find Them as you cannot imagine what magical beasts and worlds Rowling has created now. Nobody can. And that is why Rowling continues to make the wizarding world a global success.